Bahawalpur, Islamia University Bahawalpur has announced the complete date sheet regarding their IUB BA/BSc classes annual exams 2017. Now the exams department of IUB has announced the date sheet for the BA/BSc classes practical exams for 2017 and the practical papers will be started from 06-12-2017 to 22-12-2017. 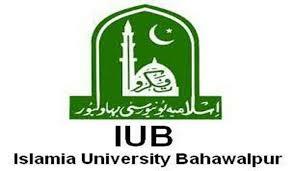 Islamia University Bahawalpur will conduct the practical papers in the programs like Advanced Computer Studies, Botany, Chemistry, Computer B, Computer General, Fine Arts, Geography, Home Economics, Statistics, Library Science, Psychology, Social Work and Zoology. The aspirants should visit the site to check the date and time of their practical papers in their relevant programs. The candidates should also note the name of the exams centers and the morning practical papers will be conducted at 09:00 am and the evening practical paper will be conducted at 12:30 pm. The candidates should bring their roll number slips in the exams centers for their verification. BA/Bsc Practical Programme For Advance Computer Studies. BA/Bsc Practical Programme For Botany. BA/Bsc Practical Programme For Chemistry. BA/Bsc Practical Programme For Computer B.
BA/Bsc Practical Programme For Computer General. BA/Bsc Practical Programme For Fine Arts. BA/Bsc Practical Programme For Geograophy. BA/Bsc Practical Programme For Home Economics. BA/Bsc Practical Programme For Statistics. BA/Bsc Practical Programme For Library Science. BA/Bsc Practical Programme For Psychology. BA/Bsc Practical Programme For Social Work. BA/Bsc Practical Programme For Zoology.